Alfonso Cuarón's Roma put the titular neighborhood in Mexico City in the spotlight this year, prompting a new influx of visitors to the historic area. But while the film shows the area as it was in the 1970s, present-day Roma is a hub for creatives who are bringing cutting-edge design, art, and dining. 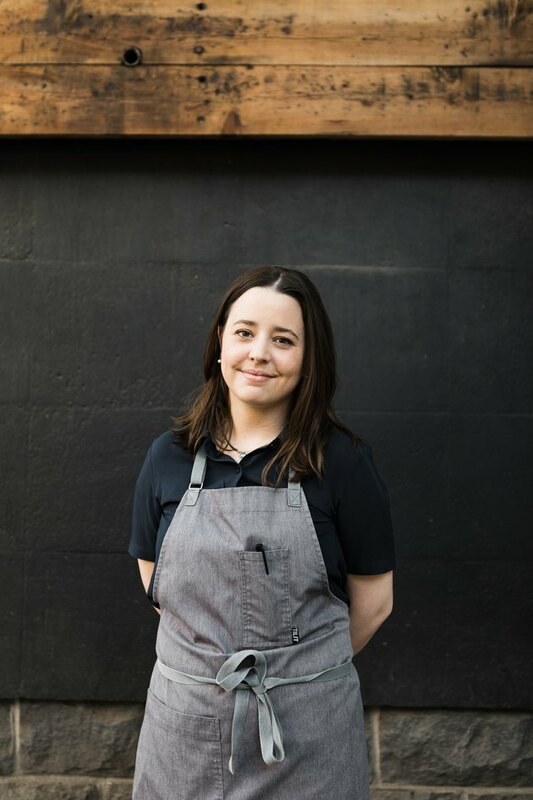 One such tastemaker is Mercedes Bernal, who, along with her husband Rodney Cusic, is the co-owner and co-chef of Meroma, a farm-to-table restaurant in Roma Norte. The couple met at culinary school in New York City and honed their craft working in some of the world's top restaurants. 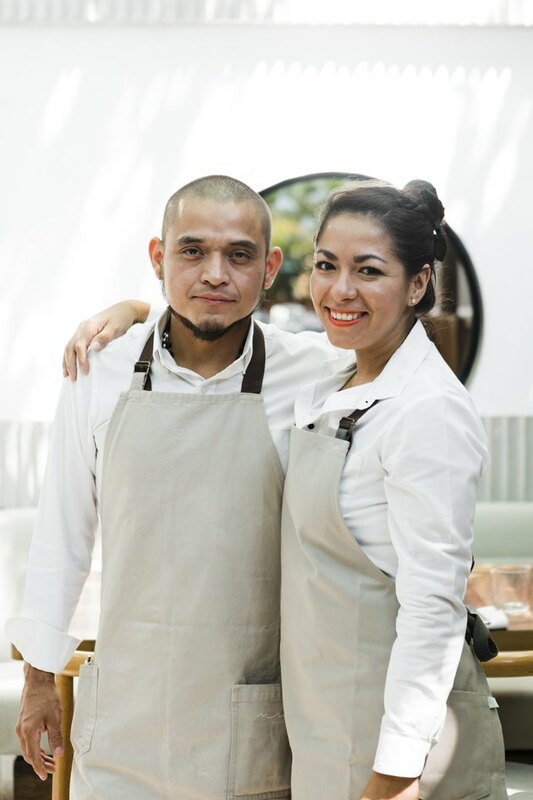 After years working beside the pros at Del Posto, Café Boulud, and L'Atelier de Joël Robuchon, the couple decided to return to Bernal's native Mexico City to start their own restaurant. They soon found the perfect venue: a 1980s house beneath the shade of a large tree. The unique space needed quite a bit of work, so Bernal and Cusic partnered with Oficina de Práctica Arquitectónica and Comité de Proyectos to revamp the building. 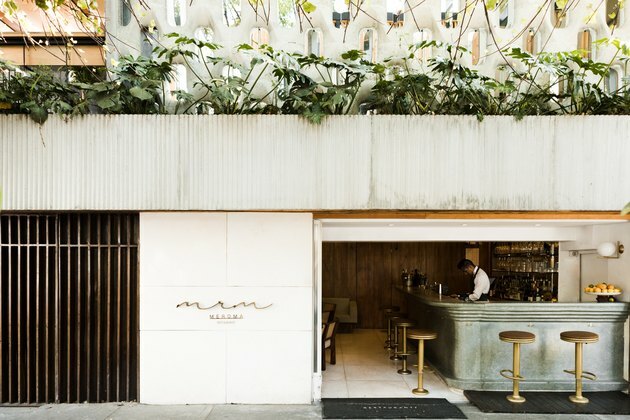 The two-story structure was divided into three spaces: a ground floor dining area and bar, an upstairs dining room, and an open-air terrace. The upstairs dining space is flooded with natural light from the glass ceiling above and the façade's original grid of oval windows. The architect used a cohesive palette of materials throughout the entire project, including concrete, terrazzo, and wood. "When we got here everything was covered in wood," says Bernal. "The entire first floor was wood and it was in good shape so we decided to reuse it. 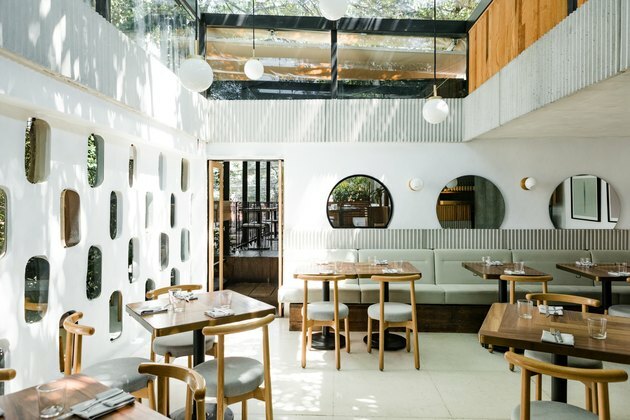 The bar walls and the terrace deck is all from that wood." Bernal wanted the design to be timeless, so they drew inspiration from the history of the neighborhood while adding their own spin. "We took from art deco that you see in the neighborhood that has been modernizing with other aspects," she says. 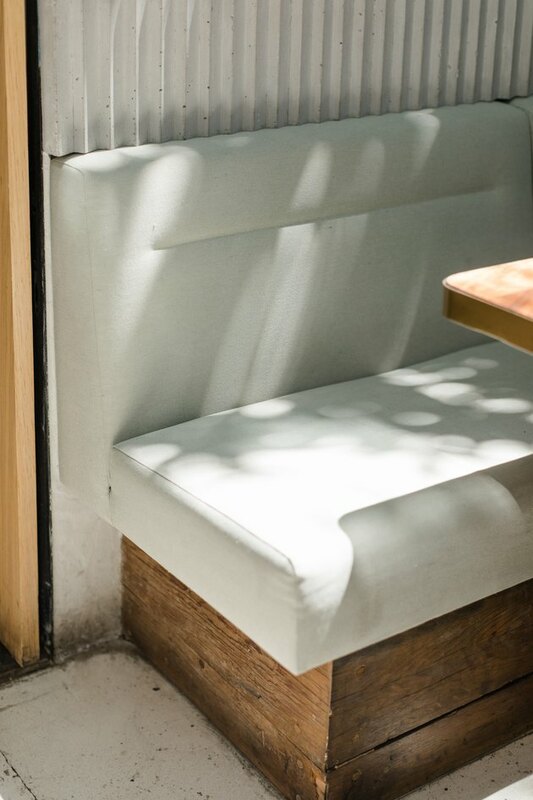 "We looked for materials in the area that are classic but used them in modern ways. We wanted to look old but new at the same time." 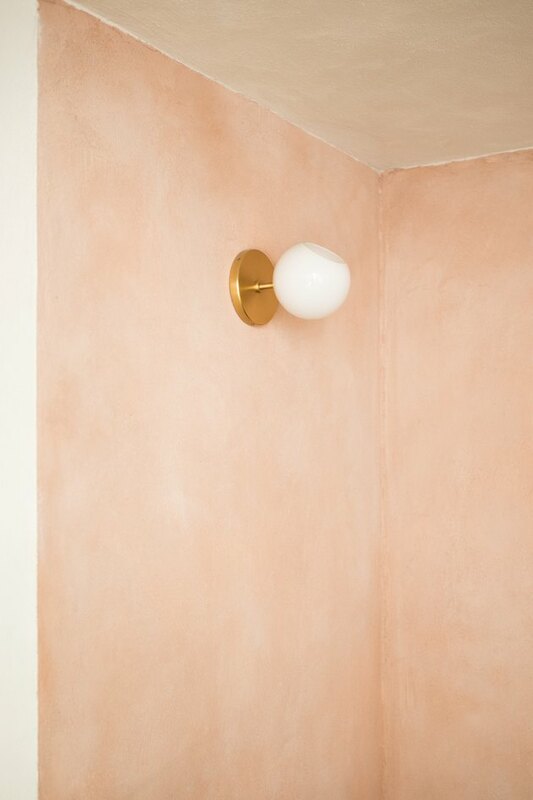 Design firm Comité de Proyectos used pinks, greens, and soft neutrals for the interiors, adding brass accents. 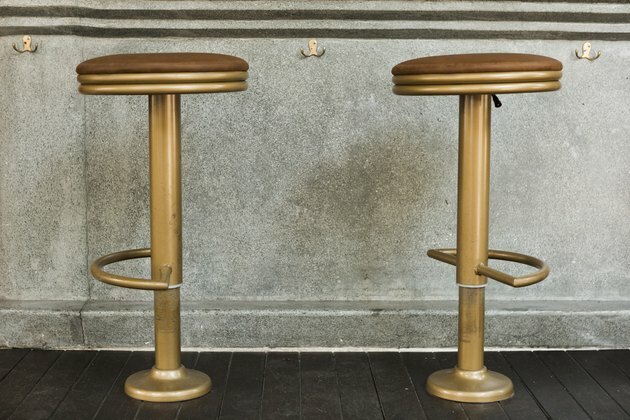 "We wanted brass and very subtle colors," says Bernal. 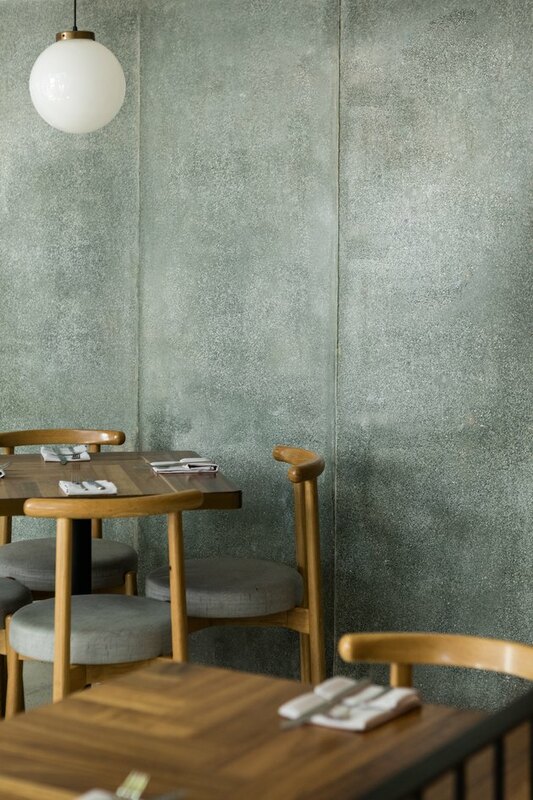 They chose classic lighting, including a lamp by Flos in the bar area. "They are timeless and really make the space," she says of the lamps. 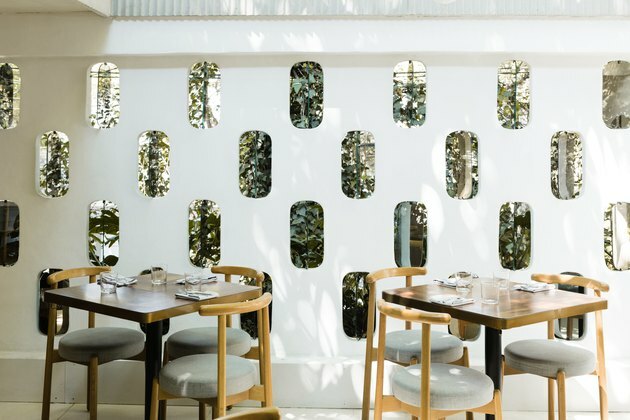 The design helps feed into the friendly atmosphere and experience at Meroma. "It's bright and fun," says Bernal. "We like to think it's like coming for dinner at our house. Very casual but interesting." 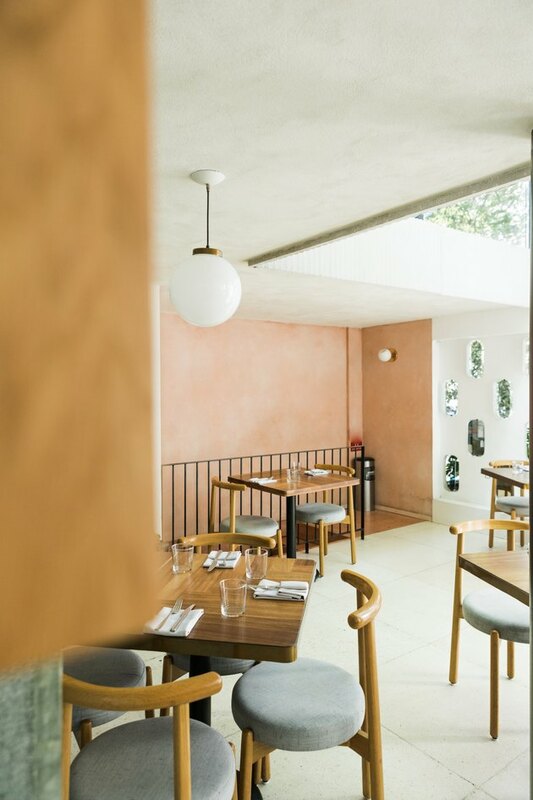 A staircase with soft-pink walls leads guests from the wood-lined bar area to the light-filled upper level. 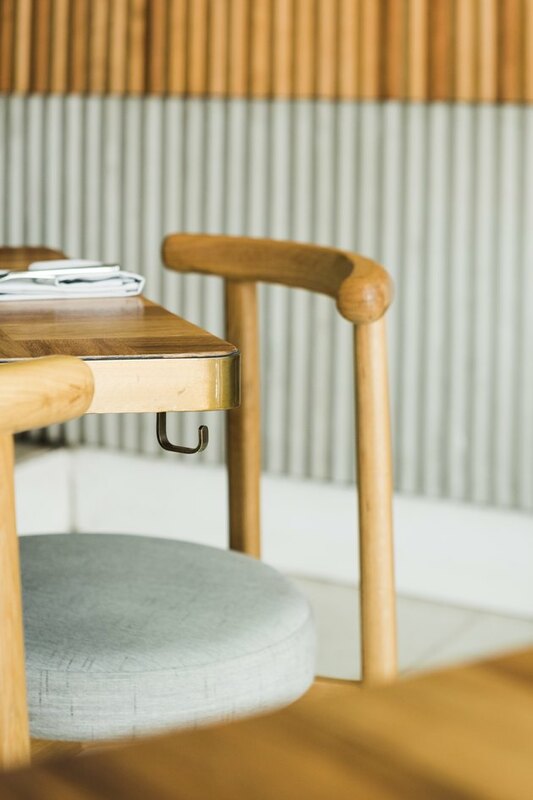 The white oak chairs were designed especially for the restaurant and help maximize the number of diners without restricting the ability to move throughout the space. Bernal says the chairs were one of the items they were willing to splurge on. "We have 45 chairs so we really wanted to love them." 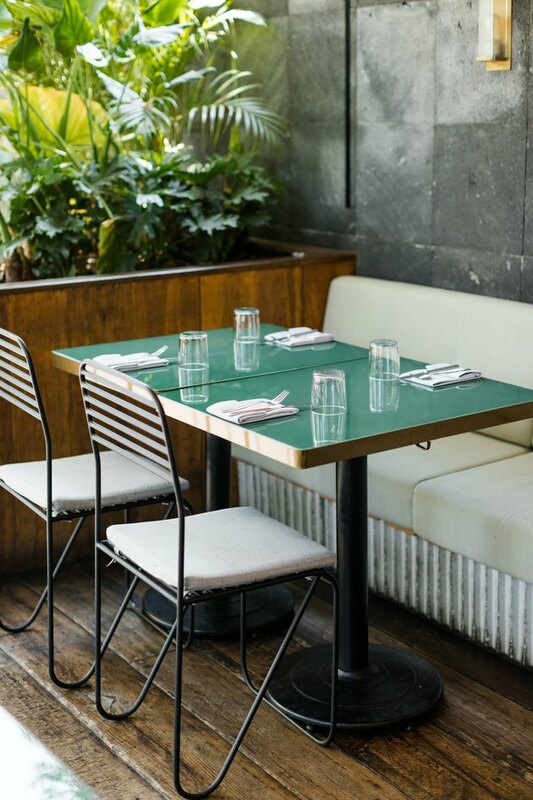 The tables on the terrace are topped with green glass, a polished contrast to the black lava stone walls and reclaimed wood floors. 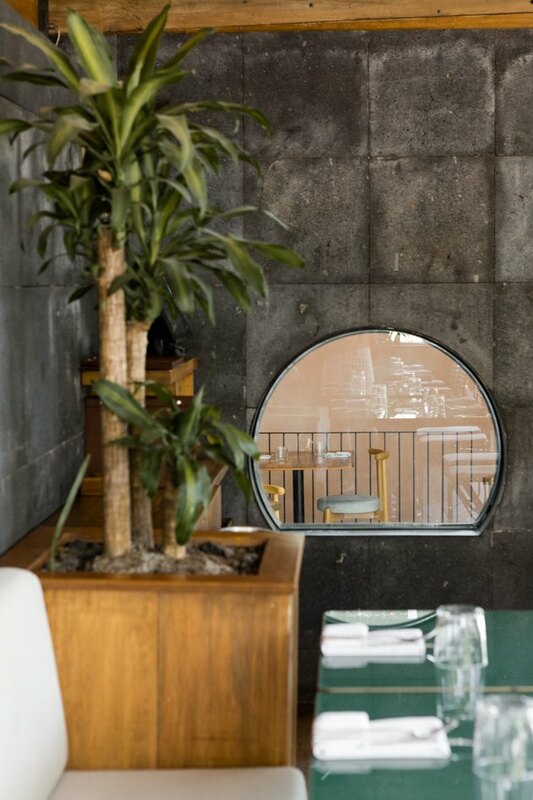 The upper level contains Bernal's favorite spot: the booth with a circular window overlooking the terrace and mirrors beside it that replicate the look. "The light it gets at noon is really breathtaking," she says.